DESCRIPTION: Black or purple/brown body with yellow broken reticulations along entire length of body. All of the images on elasmodiver.com are copyright protected. 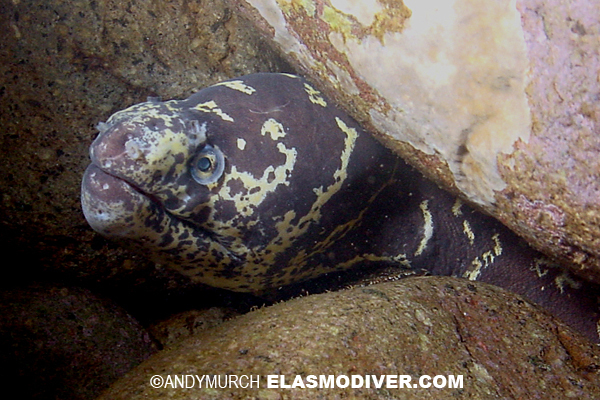 No unauthorized use of these Chain Moray Eel pictures is permitted. Please contact Elasmodiver for further information.